Toyo Tire has released the new Observe GSI-5 (replacing the Observe G02 Plus and the Open Country G02 Plus), a winter tire that offers excellent traction on snow and good traction on ice. The Toyo Observe GSI-5 is a studless tire that suits cars and, for some sizes, SUVs. Toyo Tire also offers a winter tire for SUVs, vans, pick-up trucks and jeeps, the Open Country WLT1. 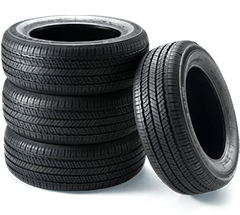 This tire is built for heavy duty due to its large load capacity and will be potent on snowy secondary roads. All Toyo winter tires were designed to tackle Canada’s harsh winters. Canadian drivers often need to drive on roads with black ice patches and then, a few hours later, in a heavy snowfall. While all Toyo tires are most efficient on snow, their design also banks on numerous fine sipes that will allow good adherence on icy roads. The Toyo Observe GSI-5 and Open Country WLT1 are good examples. An interesting particularity of the Observe GSI-5, is that several sizes are available for cars, SUVs and vans, which is a very consumer-friendly advantage. 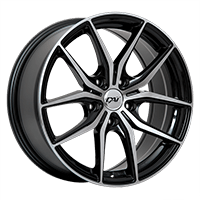 In fact, most manufacturers tend to produce tire models that are more targeted towards a type of vehicle rather than by usage. Toyo understood it is easier to build a tire’s reputation if it’s accessible to many drivers who use it in the same conditions rather than offering one tire per vehicle.